Pioneer missionary Samuel Zwemer wrote, "The kingdoms and governments of this world have frontiers that must not be crossed." Then he added, "The Gospel of Jesus Christ knows no frontier. It never has been kept within bounds." This border-crossing, boundless Gospel is the theme of Every Tribe. This episode of the Dispatches from the Front series is set in Cambodia, Vietnam, and Laos, where a patchwork of tribes lives - people groups long crushed by brutal dictators and enslaved to the worship of demons. But the Gospel is setting prisoners free! 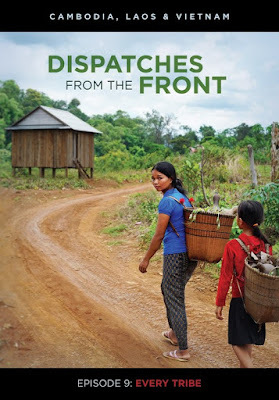 From the killing fields of Cambodia to the remote corners of Laos, this is an "every tribe, every tongue" story of first-generation believers, who are now singing for joy over their deliverance, loving the Word, and crossing borders to share the Good News that "never has been kept within bounds."